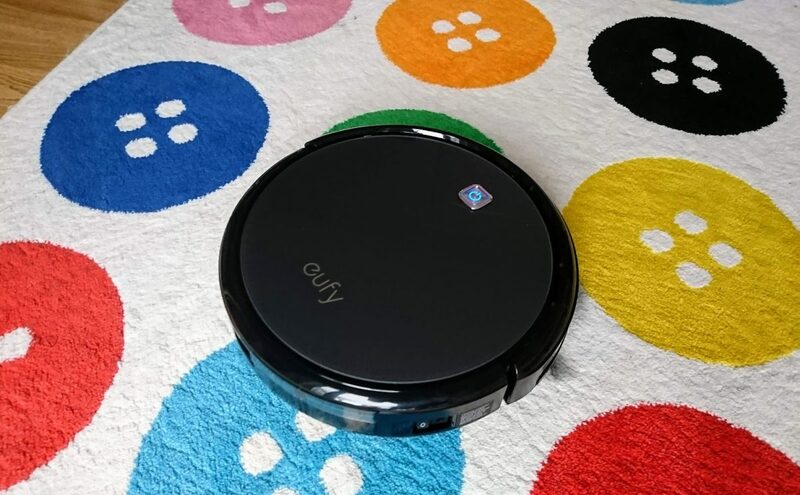 Share the post "RoboVac 11 Review"
We have been road testing a robotic vacuum here, something that I have always liked the idea of but have never been convinced that it would actually work. 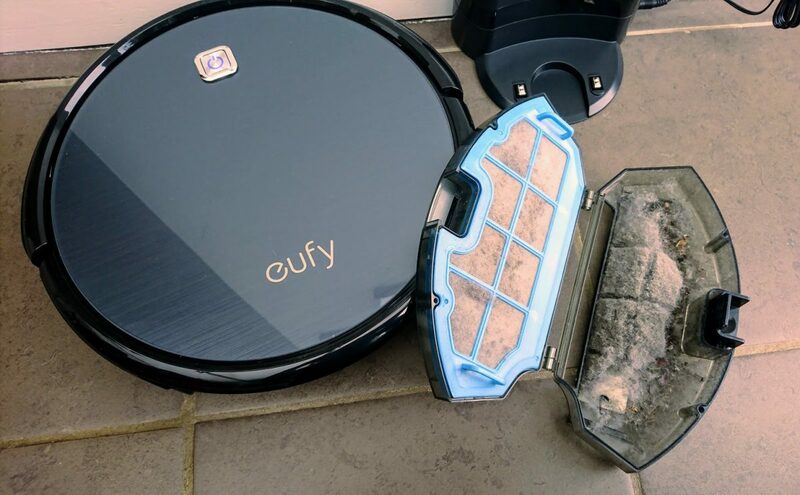 I love the idea of housework being made easier, and any time saving devices that can do that will get a big thumbs up from me, but do these actually work? 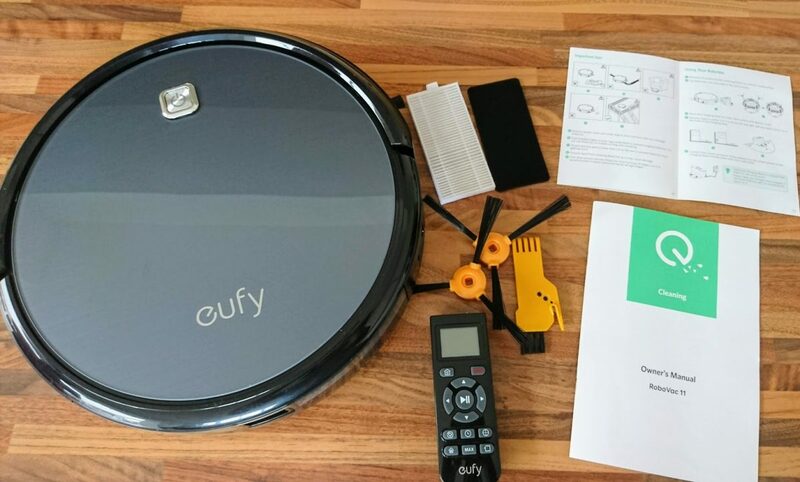 So when the team at eufy got in touch asking me if I’d be interested in a RoboVac 11 review, I jumped at the chance, keen to test it out and share my findings with you. The set up is actually quite straightforward with this, easier than I thought it would be. There are two brushes that need to be clicked onto the bottom of the unit (there are a spare two provided, too), a power cable to plug into the docking station and then you are pretty much good to go. 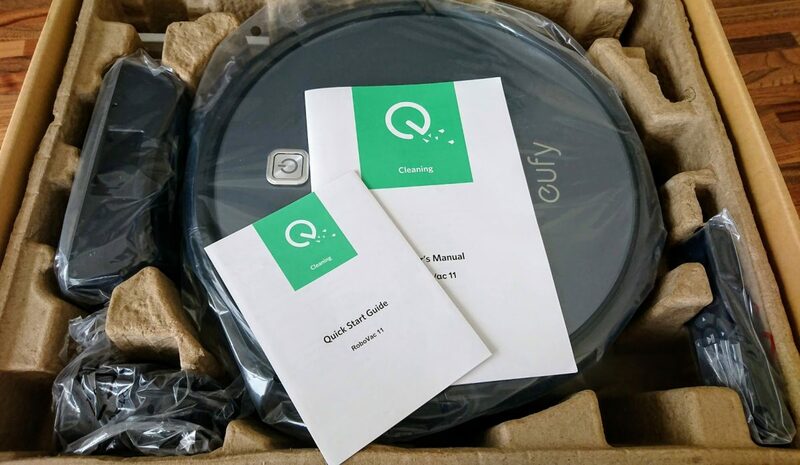 It comes with a remote control that can be used to manually direct the Robovac 11 during cleaning, to set it off and send it back home, and to schedule it to work at certain times. It does need some space around the docking station, it suggests a metre either side of it. Ours then stays at its docking station charging throughout the day. It simply rolls onto it and beeps to indicate to you that it is in the correct position and charging. How does the Robovac 11 work? 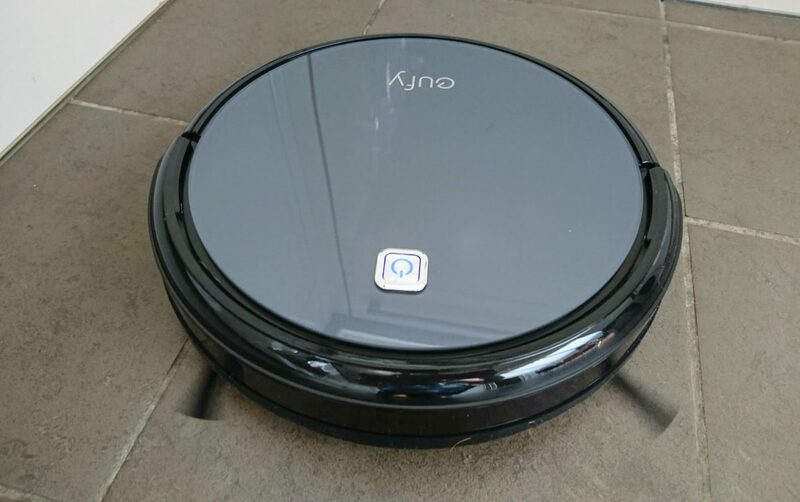 You can schedule the Robovac 11 to come on daily, so ours is set to come on just after we leave on the school run in the morning, so when I get back it’s normally around halfway through cleaning. It works equally well on carpet as it does on hard floors. 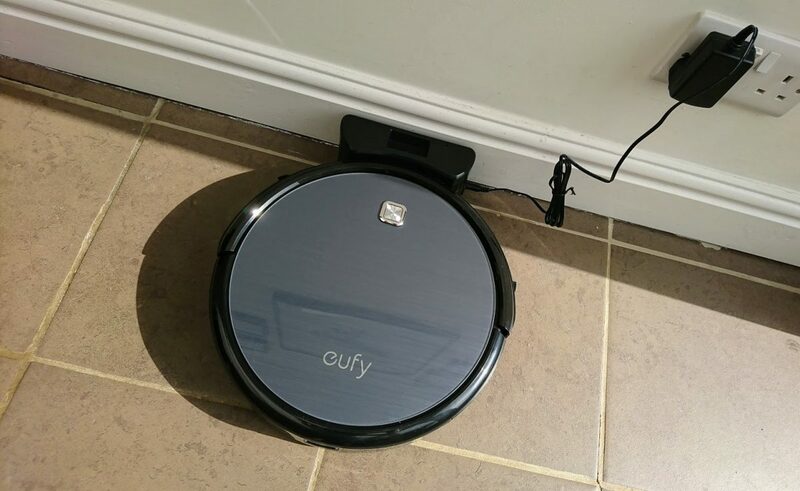 Our ground floor has tiled floors, wooden floors, laminate flooring, carpets and a rug, so the Robovac 11 has been used on all surfaces and it copes well with all of them. The only thing that it mentions in the instruction booklet is to ensure tasselled rugs are tucked safely up and that it would struggle to get onto a rug that’s more than 10mm deep. Fortunately for us, we don’t have these things so we do not need to move anything for Robovac 11 to come out to work. 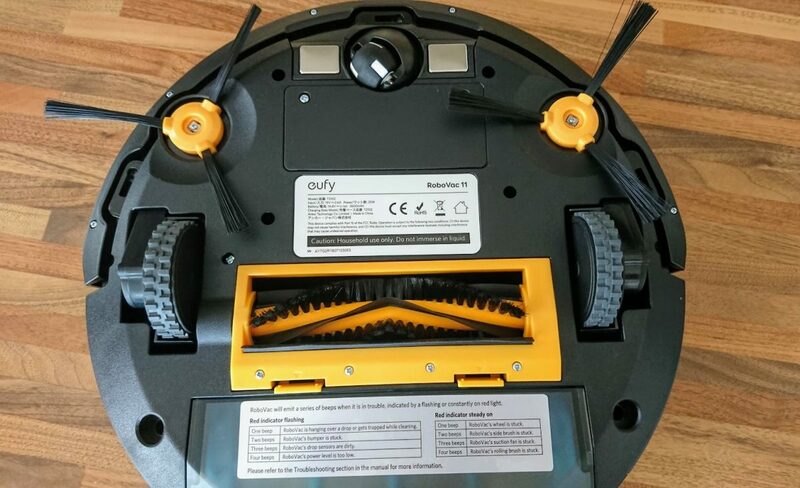 As it travels around independently, the Robovac 11 is like a new pet, as far as the kids are concerned. Yes, they call it a ‘him’ and think he’s hilarious. Sadly, this does lead to me talking to him sometimes when I’m home alone and ‘he’s’ tootling about. What? You’d do it, too. It does feel good to know that one task is being ticked off the list by Robovac 11 whilst I can get on with other things. When it has finished its cleaning, it finds its way back to its docking station and turns off and charges until its next scheduled clean or until you set it to come out again. It does a very good job of cleaning, which I was initially sceptical about. I couldn’t believe that it would have enough power to do a good job, but it seems I was wrong. This was after its very first, relatively short outing, when I had vacuumed a couple of days earlier. This was only half of the floors, as its battery ran low partway through as it was just out of the box. This is no longer happening, as it charges all day and does then clean for around an hour and a half on full battery life. I tend to empty it each day, more out of curiosity than necessity, but it does make sense to keep it clean. There is a small compartment that pulls out easily with the push of a button to remove any dirt and dust collected and it takes literally seconds to do. We don’t have dogs or cats, so I’ve not tested this with pet hair, I’d be interested to hear how it does with that if anyone else has tried it? So the verdict? I usually clean thoroughly once a week and then run the vacuum around every other day, sometimes every day. I find that with the Robovac 11, I am now only completing that once a week or even once a fortnight clean, which is wonderful. I have been so impressed with how good a job this does, I honestly hadn’t expected it to be so good. I thought it would just get stuck in a corner somewhere, have little suction power and be unable to get around due to its shape. But I admit I was wrong, it really is an excellent product. It cleans thoroughly, and as it comes out from its dock every single morning, my house is always clean. 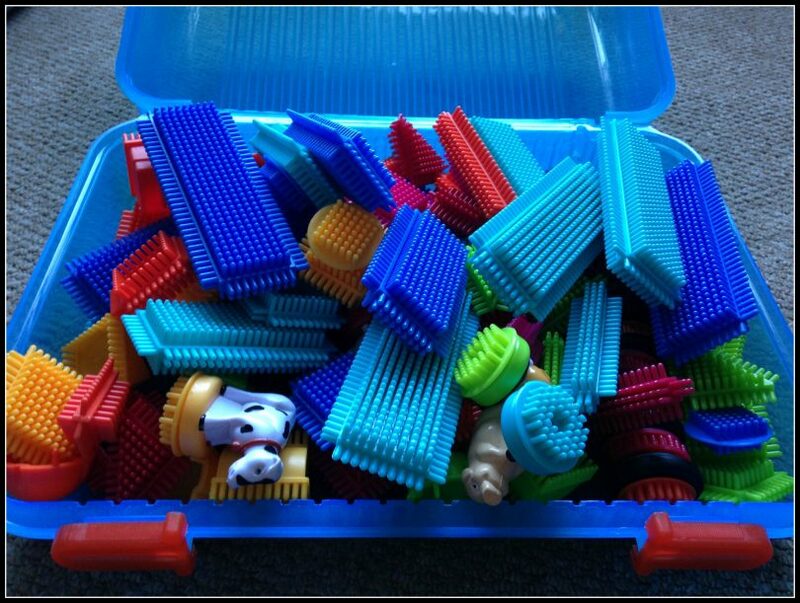 I would say that you need to ensure that things are relatively tidy as that will give it plenty of space to move around and you won’t want things being sucked up – my kids do not leave Lego on the floor! But of course if you are in the middle of something in one room, you can cancel the clean or just close the door and let it clean elsewhere. It gets into far more nooks than I had expected it to, though of course it cannot get everywhere. As such, I don’t feel it’s a substitute for that weekly clean as I do up and down stairs, whereas this just lives on our ground floor (though can of course be moved upstairs, I just don’t do that), and I can get the attachments out and do things like the sofa and tops of the skirting boards and so on. As this is the case, I can’t see that the Robovac 11 would work as your sole vacuum cleaner, though I suppose that all depends on how concerned you are to do those extra areas. 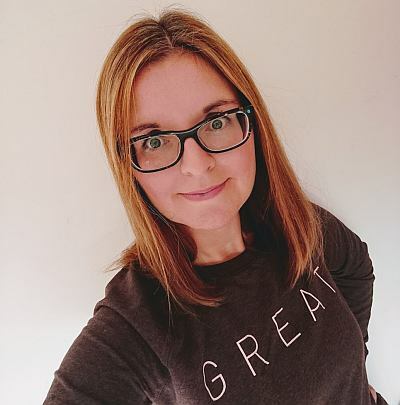 But I do feel that this works brilliantly well on cutting down on housework for the majority of the time as it keeps on top of it all for you when you don’t have the time, or let’s face it, the inclination, to clean up yet again. 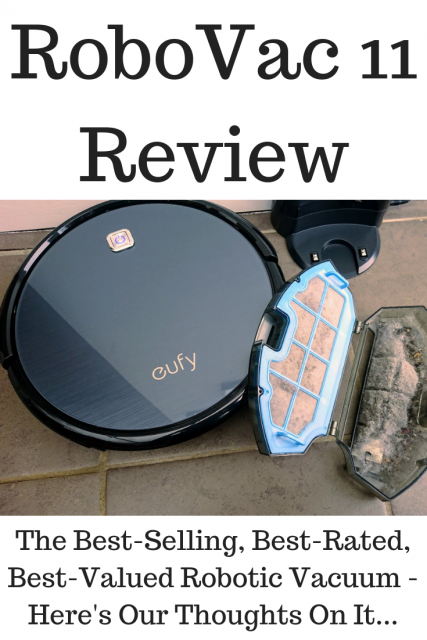 It ensures that your home is always going to be clean and I have been genuinely surprised by how well it does pick up the dirt, it is a very thorough little thing. Find out more over on the Eufy website now. What do you think of the RoboVac 11? Could one of these work for you? 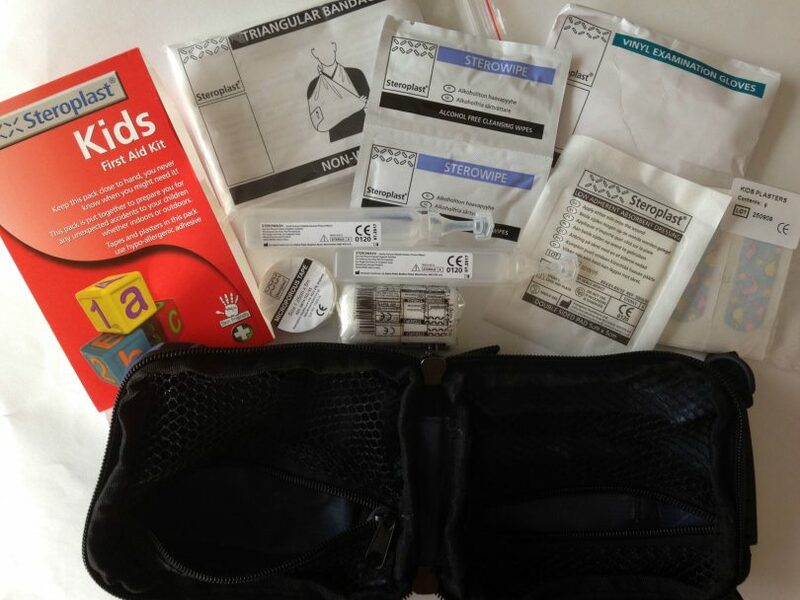 Disclosure: We received this product FOC to enable us to trial it and share our opinions, and this post contains affiliate links, meaning that if you click through and make a purchase, I make a small commission at no extra cost to you. How do you find it copes going from room to room over carpet grippers? I have laminate and carpet downstairs and I was only thinking yesterday that something like this would be really useful to have. It’s been absolutely fine with that. Here it has to go from tiled to wooden to laminate and then wooden to carpet and back. It’s managing! It gets up onto my rug easily, too, not that it’s really high, but it manages without any problems. I have been genuinely surprised!